The intricately conceived Fourth World begins here with the stories that introduced familiar and fearsome faces including Darkseid, Morgan Edge, the new Newsboy Legion, Intergang and much more, as Jimmy Olsen scrambles to deal with a changing world, hordes of clones and more! Plus, are you ready for...Goody Rickles?! 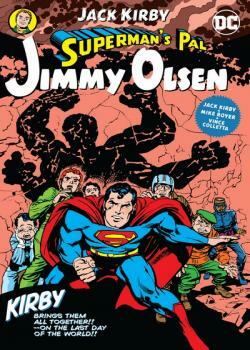 Collects SUPERMAN’S PAL, JIMMY OLSEN #133-139 and #141-148.